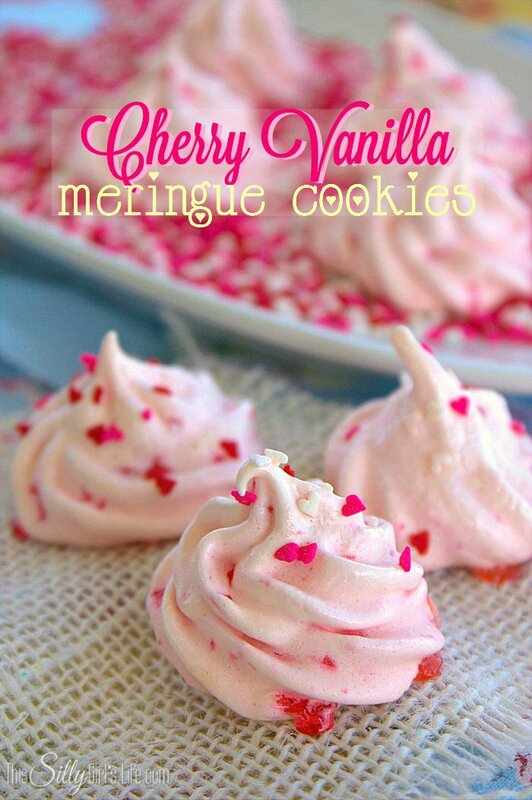 Cherry Vanilla Meringue Cookies, light and airy cookies with a classic flavor combo, studded with maraschino cherries! 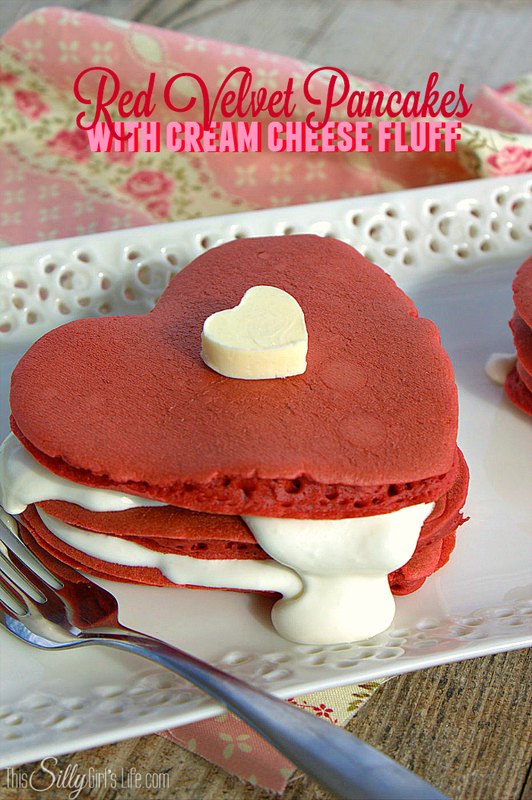 I hope you are ready for the last recipe in the Valentine’s Day series! When I was younger, one of my favorite flavors of ice cream was cherry vanilla. 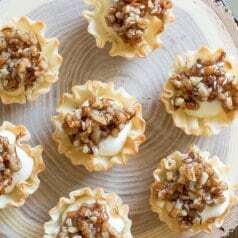 I love taking traditional flavors and recipes and giving them a new twist! 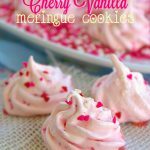 These Cherry Vanilla Meringue Cookies came out sooo amazingly delicious! I have to warn you, they are addicting! Light, airy, crunchy, soft and melt in your mouth! 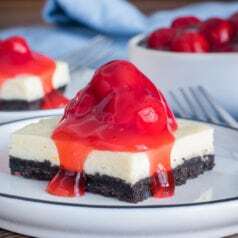 I guarantee you will come back to this recipe again and again! Preheat oven to 170 degrees. 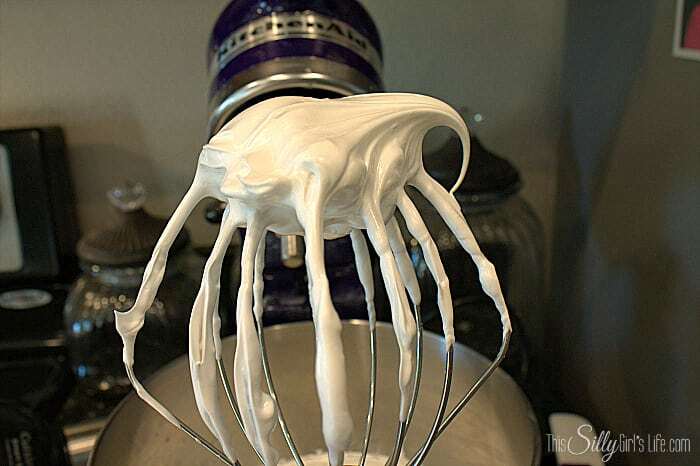 Whip egg whites on high speed and gradually add in the sugar. 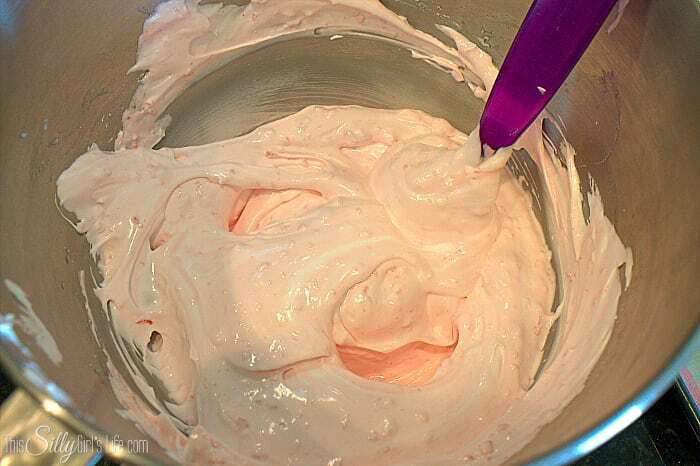 Add in the cream of tartar and vanilla, whip until stiff peaks form and it is glossy white. Take about a cup of the meringue and mix it with the maraschino cherries until combined. 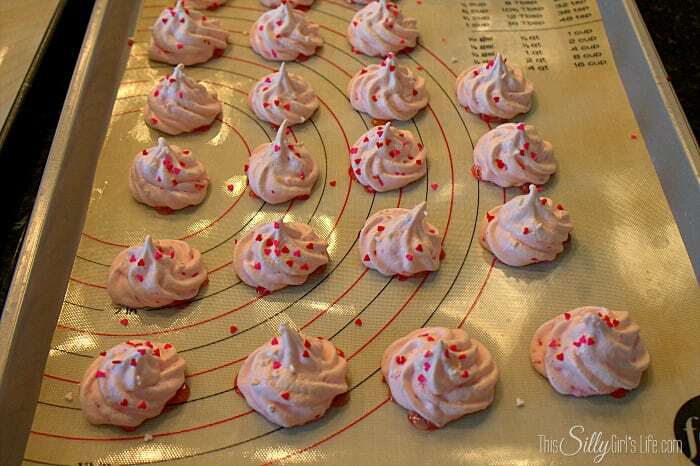 Fold into the rest of the meringue. Pipe out 1 inch swirls with a open star tip 1 inch apart. 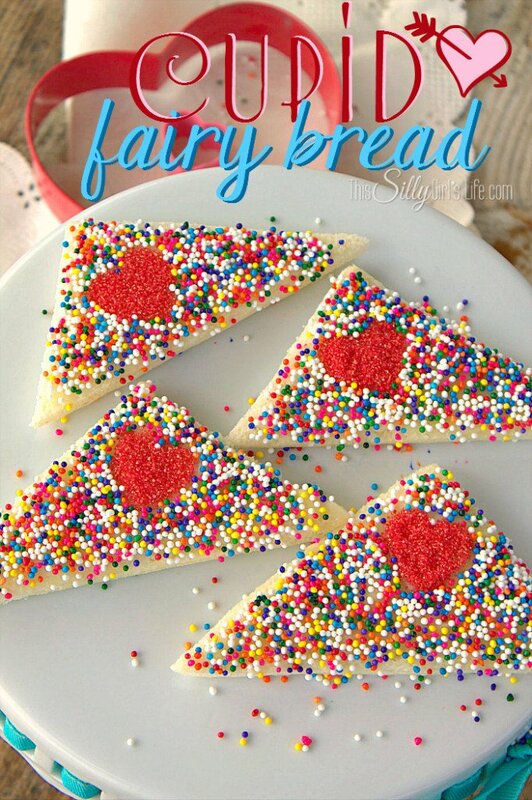 Decorate with sprinkles if desired. Bake for 2 hours and then turn off the oven and let cool inside. About 1 hour. Serve and enjoy! Yum! Aren’t they so cute? Perfect to give your sweetie! I hope you liked today’s recipe as always! What’s your favorite classic flavor combination?? I made meringue cookies, too! Love your cherry vanilla idea. Stopping by from Sew Crafty Angel hop. 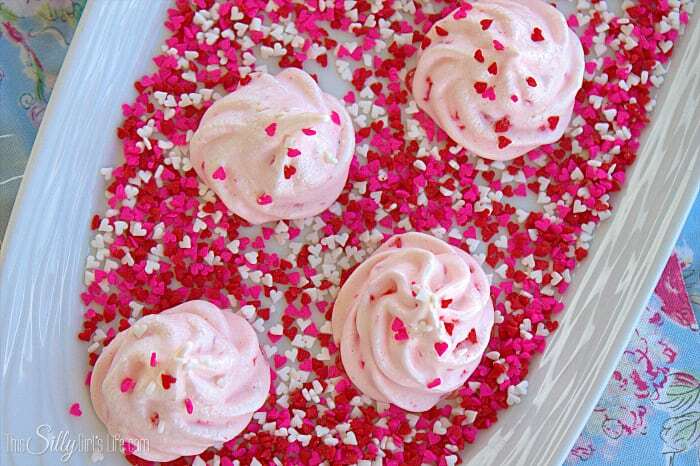 Lovely-looking meringues! Your photos are beautiful and I love the way you styled them. 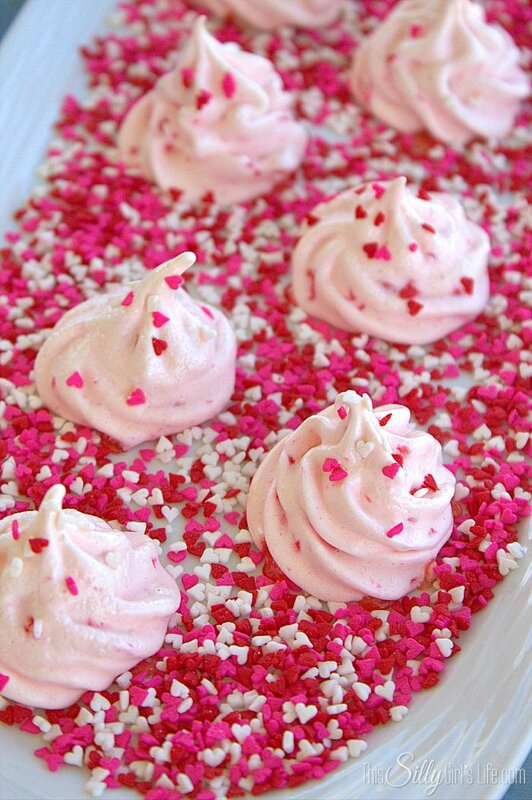 You’ve reminded me to make meringues again soon. Thanks! Oh I just love a meringue cookie- there’s just something special about the texture and how they melt on your tongue. Love, love, love. So many thanks for being a part of Snickerdoodle Sunday- hope to see your latest makes when the party starts again this weekend! 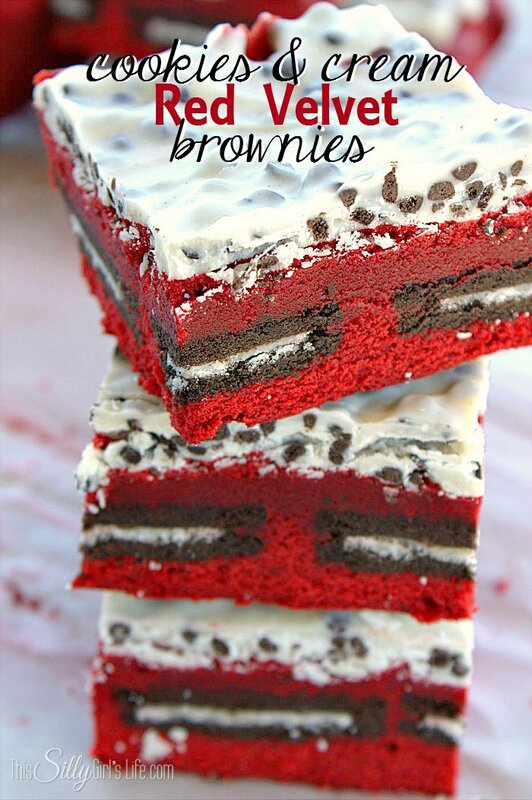 Thanks for sharing this delicious recipe at The Pin Junkie! 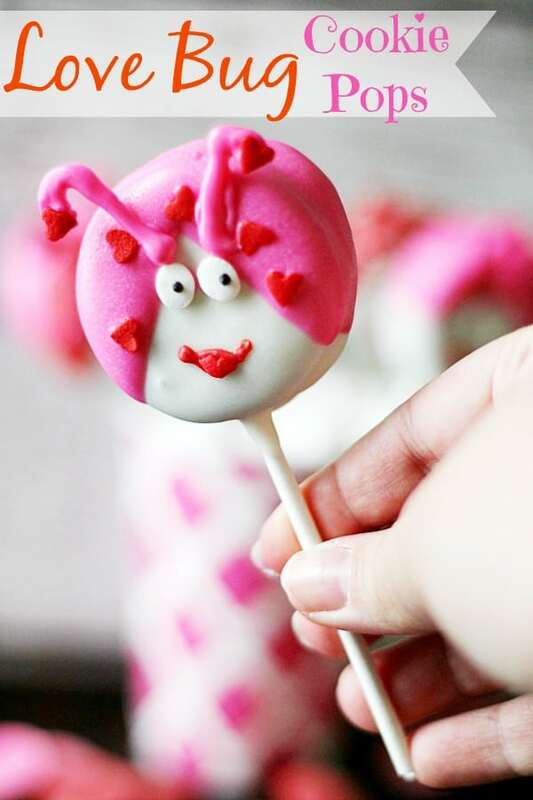 It’s part of today’s Valentine dessert roundup! 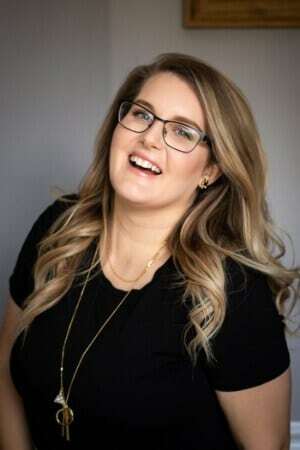 Hi Dana! I love these pretty cookies – so much so that I picked them as my ROCKSTAR pick at the Creativity Unleashed link party! You’ll be featured tonight and be in the running to be our MEGA ROCKSTAR! Thanks so much for sharing your talent with us!! Hi I made the cherry vanilla meringue cookies the only problem I’m having is getting them off the tray. 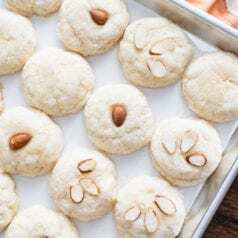 What should be used parchment, silpat or regular cookie sheet? A silpat would work the best.